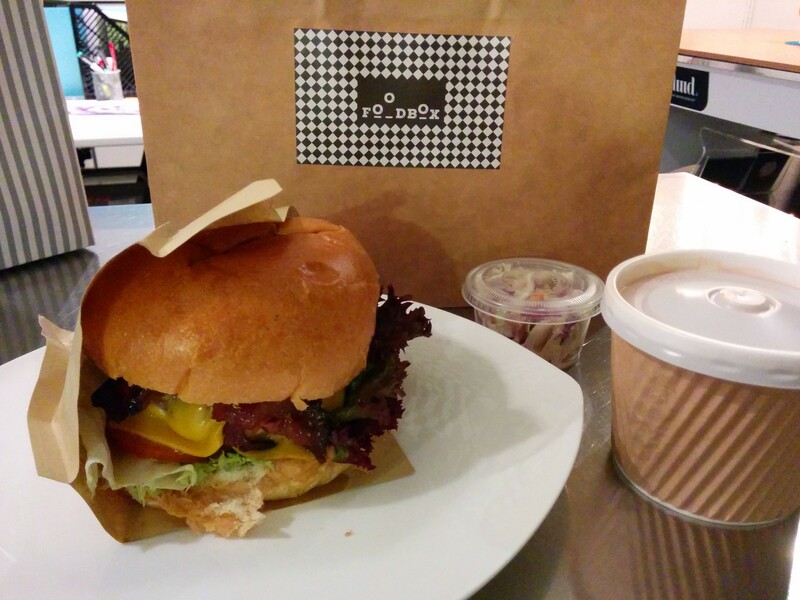 Foodbox’s 8oz burger is an exquisitely good hamburger. 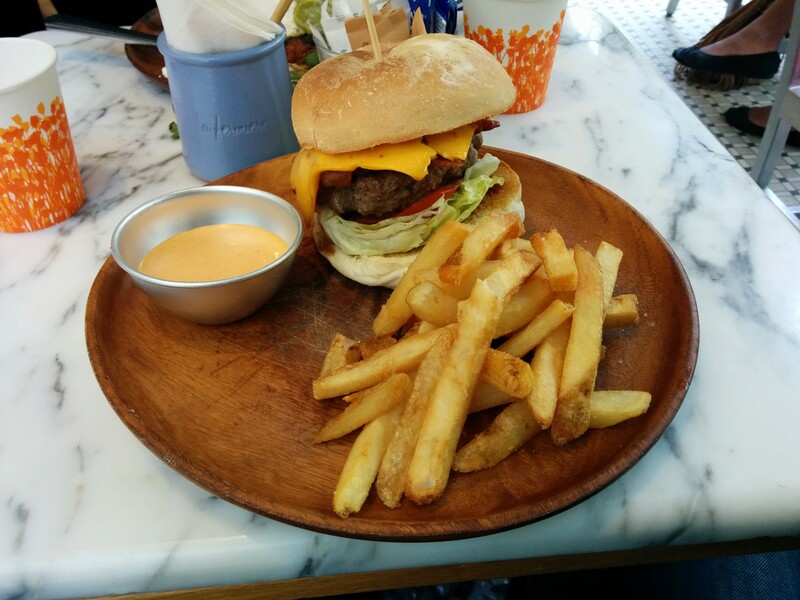 This gentle burger, introduced as plain as can be – bun, patty, lettuce and tomato, with the only little extravagance being a smidgen of butter, surprises one with a satisfying touch of burger lightness that is foremost complemented by a great burger taste balance and an adequate burger construction. Even though the burger is menued quite intrinsically, the box offers an array of filler options – greens, cheeses, and meats, all listed on a board, imply to the already satisfying burger taste balance; a balance that begins with a great bun and ends with a plush burger moistness. The bun, bread that has been toasted subtly to a tastily mellow, bequeaths a soft sponge-like textured malleability that absorbs and retains every dripping instant – with a gratifying butyraceous feel to it, this is a fairly juicy burger. The next procession in the bite, the patty, provides a pleasant beef taste with profound hints of seasoning; a hunky texture, modestly redolent of local meatballs, give off a supple composition to the meat. A refreshing set of fresh vegetables afford the burger with a green hearty quality, the romaine lettuce is crisp with keen shades of greens and purples that mix well with the burger taste balance, and the tomato feels corpulent and zesty – these veggies fulfil their healthful destinies of wholesomeness, and make up for other absentees (there are no onions to be tasted). The add-ons to this burger were two fold and well received in the burger taste balance, a mild cheddar cheese that adds a gluey tangy creaminess and a crisp salty bacon. 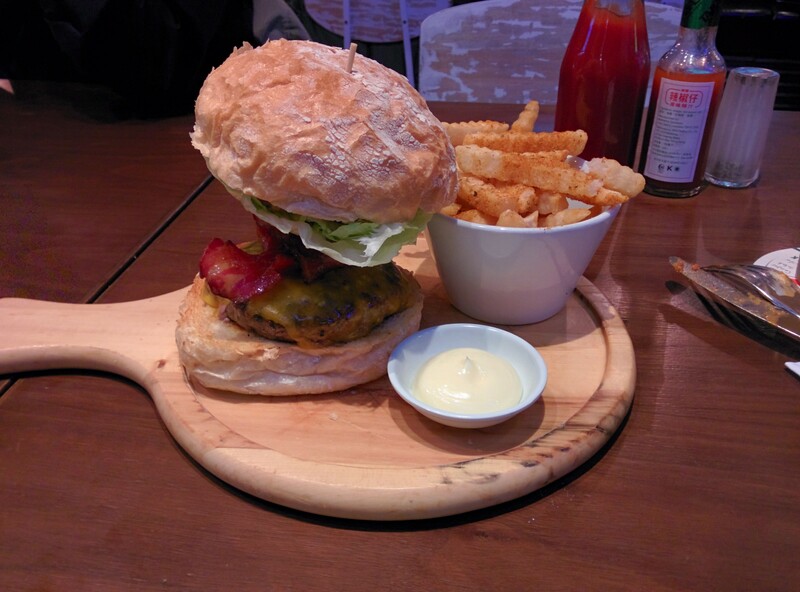 For 98.00 HKD, and an additional 8.00 HKD for each additional topping, this is a pretty pricey burger. But it’s swell to see that this quaint little food box, a cramped box filled with sandwich ingredients and with no place to sit, flaunts a little love for their hamburger. 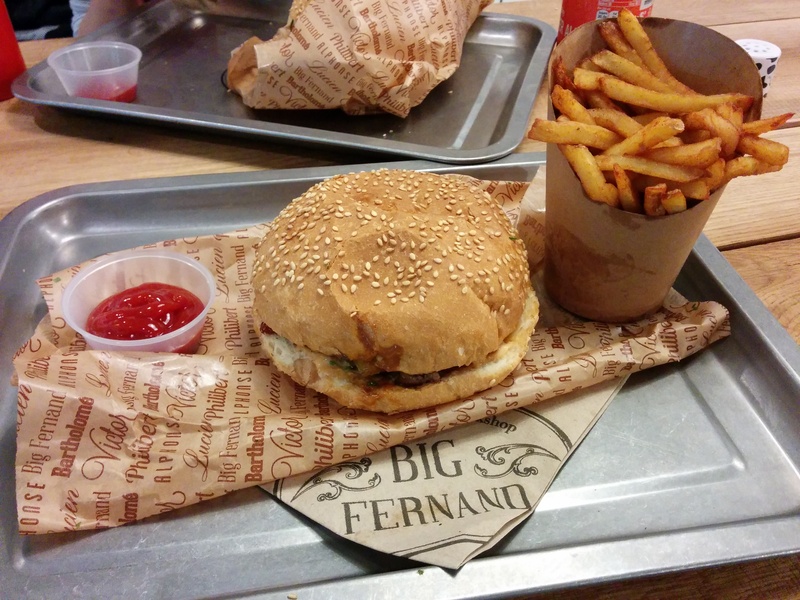 Big Fernand’s Le Bartholomé Hamburgé is a decent burger. 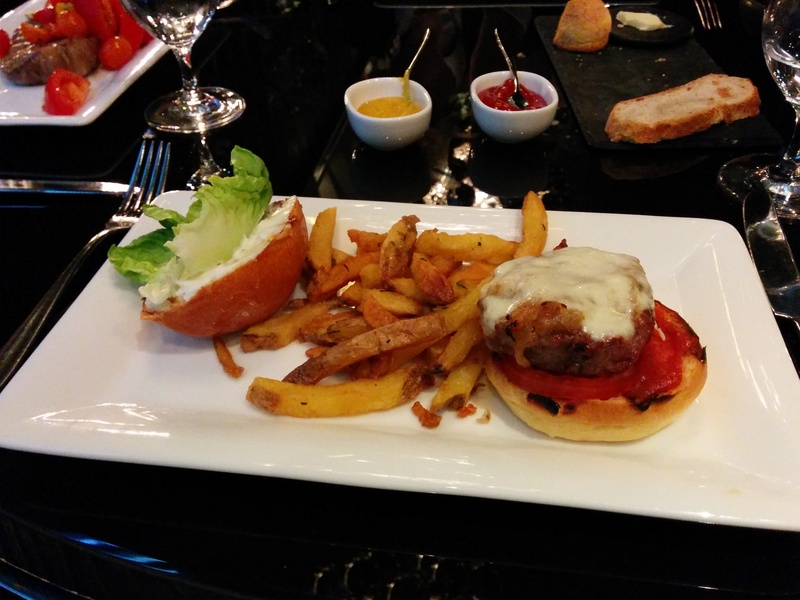 This hamburger, a french concoction of pompous proportions, is introduced as a proud frenchmen; a frenchanization of an american icon, a potential representative for le cuisine française – a culinary fling considered by some to be the best in the world. This notion might lead one to believe that this hamburgé would be something to excite, a chef d’œuvre that benefits form its french touch; instead, Big Fernand’s statement of “stop guzzling burgers, eat hamburgés” fails as it becomes one too grand to convey. The passionate affair that the french have for bread is well translated in the taste and construction of this hamburgé, the intricate unwrapping of the burger culminates in a faux pas as only bun and smidgens of sauce become visible. This bun, with its soft texture and with a crusty exterior, is good bread, but oh mon dieu sacrebleu there’s just too much of it – bite after bite the patty seems to become an improbable fact. 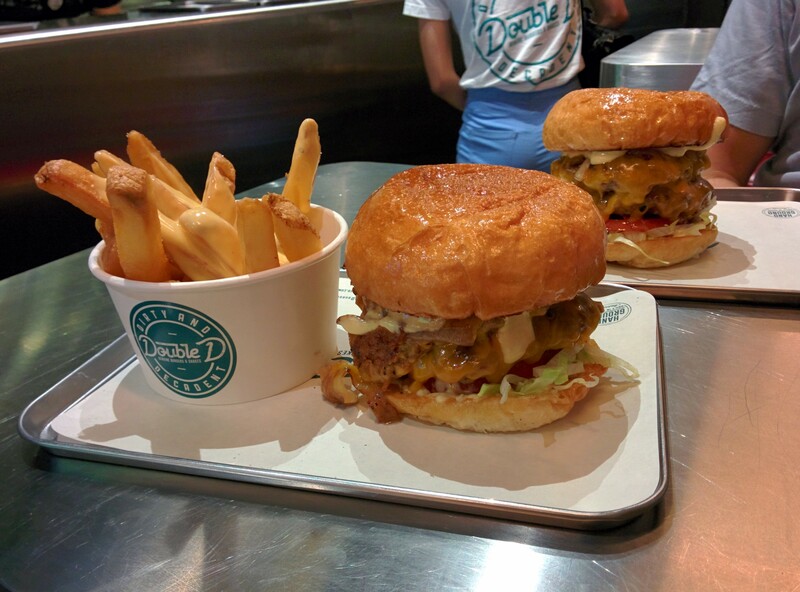 After each dragging mouthful, as one beckons the arrival of the patty – quel dommage! The calamité of the patty is not derived from its flavour, which has been bred for meat, it comes from an un-juicy chunky texture and a petiteness that leaves a desire for a patty that circumferences the bun. The rest of the burger décor forms a tableau vivant – nothing in this hamburgé particular stands out as remarkable. A combination of two sauces, the BB Fernand or BBQ sauce and Tata Fernand also known as cocktail sauce, are overwhelmingly sweet to the burger – le hamburgé is served au jus, as these dominate the burger taste balance. The raclette fromage, the sassy stinky cheese one can expect, adds a french gooey embrace to the burger; the bacón, a crunchy tasty forte in the burger, falls short with a vignette of slices. The légumes are quite limited, the handful of chopped chives add little more than hints of greenery, and the caramelised onions are present but forgettable – and voilà, one’s experience with le hamburgé. The fries were soggy and old. 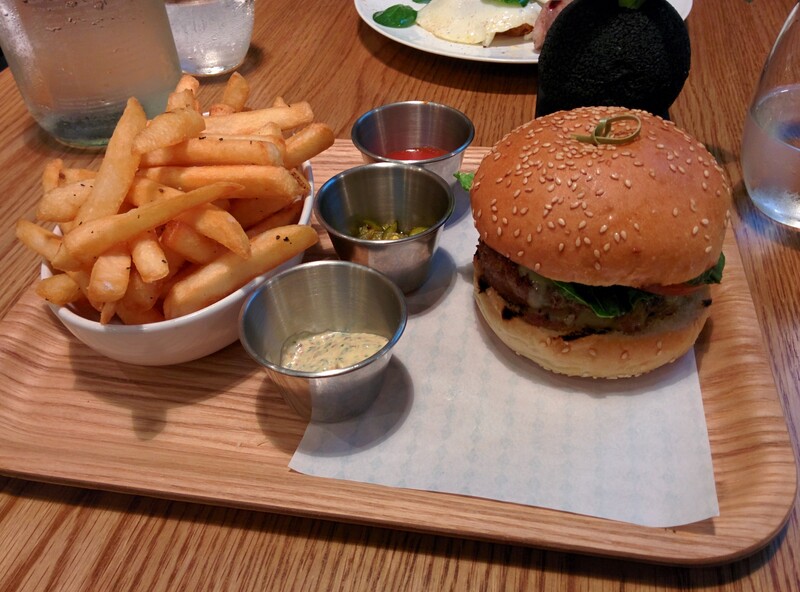 For 135.00 HKD, plus an additional 40.00 HKD for the little combo – fries and a drink, the hamburgé is a pricey burger to be missed. 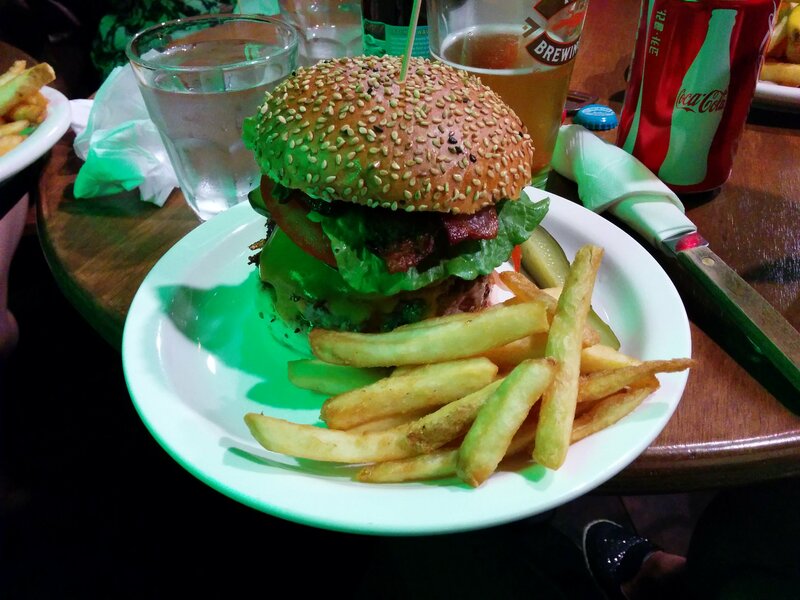 Towards the finale there’s a realisation that the burger taste balance isn’t terrible, it simply isn’t representative of that high level of french food one would embrace – but hey not everything turns out as one wants… c’est la vie! 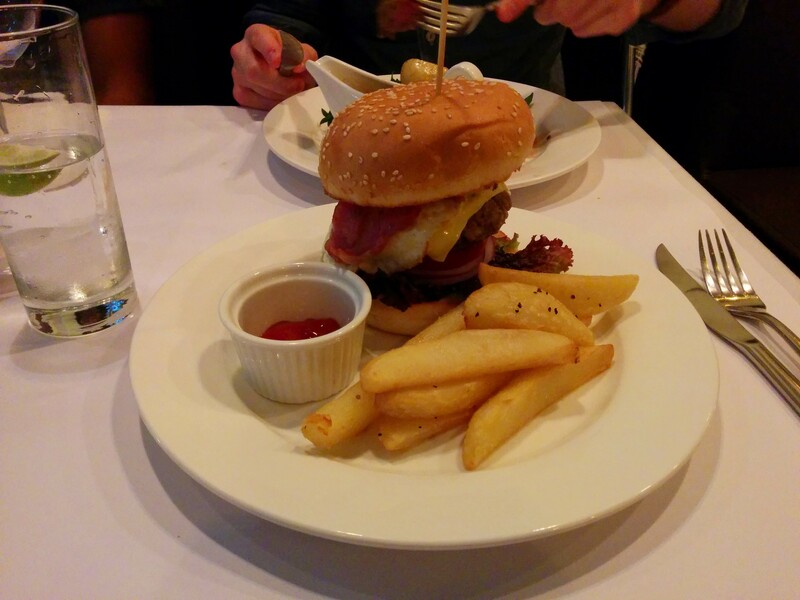 The Magician’s Maytag Blue burger from Burger Circus is a magical burger of decent abilities. The big top has been raised and the stage set – a burger construction with everything in place, where not all is as it seems… As the curtains rise and the show in one’s mouth commences, a hamburger, full of mysteries and illusions, will have a couple of audience members in awed wonderment as to the perplexities of the ingredients that spectacle a presentable burger taste balance and a burger construction of unfulfilled proportions. 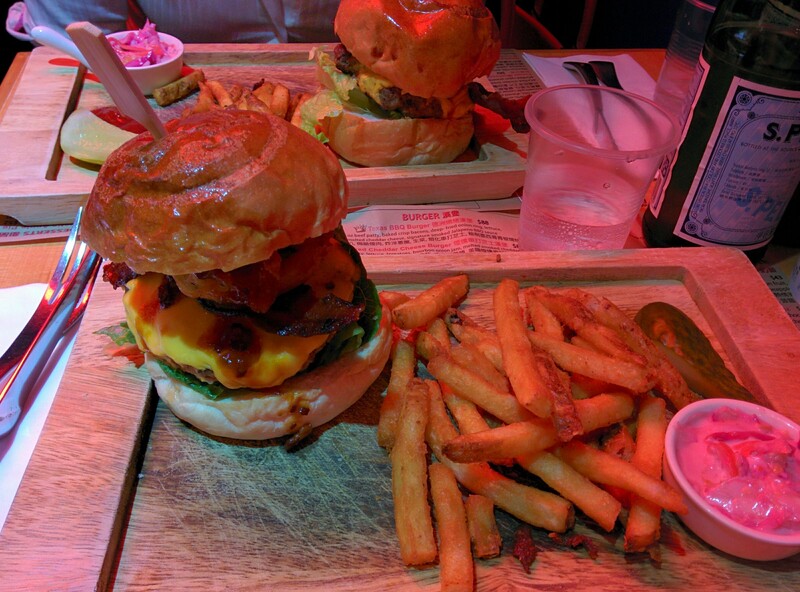 The burger’s showhamburgership, perfectly scened in its box, appears to be as sincere as they come, yet something about it feels slightly dolorous… something about its stacked presentation, as one is soon to discover, seems a little out of character – and as the show plays on, the burger’s lead characters are restrained by those of supporting roles. A green hyperbole of lettuce and tomato is introduced in this hamburger; the lettuce in particular, with its too many layers of leaves, robs the title role – bites are lush with crispy fresh tomatoey greenery that overpower the ring leaving the meats as fill-ins. The beef patty, standing in as the magician’s assistant, has an enticing brown roundness and a textured character that crumbles in an agreeable juicy manner, its tragic illusion is portrayed by a beefy blandness and an unimposing stature that has difficulty staging itself with the other characters in the panoply. The bacon has a more ominous feel in the burger, the single slice has a hard crisp presence that behests attention, but lacks confidence in its taste. 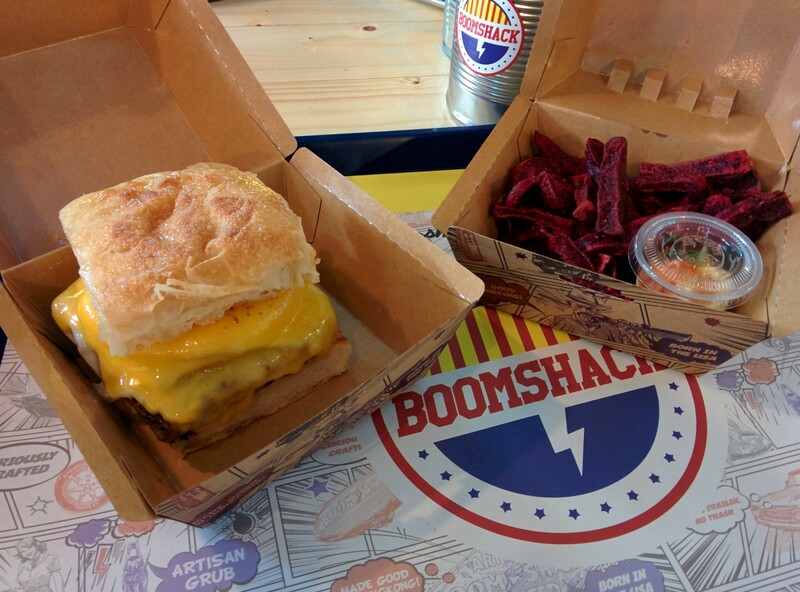 The burger magic between the two pieces of bread, buns that execute their part with a winning malleability and taste that manages to capture the essence of the burger show, continues with the vanished cheese. A distinguished performer such as blue cheese, with an interesting stage name, should hail excitement; as one anxiously waits for its savory appearance, in the end, this credited role was left utterly unfulfilled. 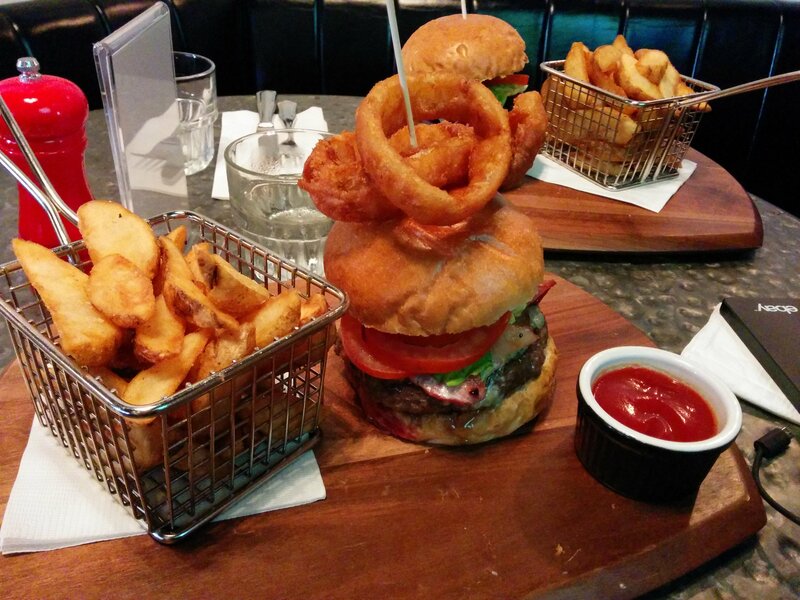 The fried onions make a charismatic but lowly appearance throughout most of the burger. 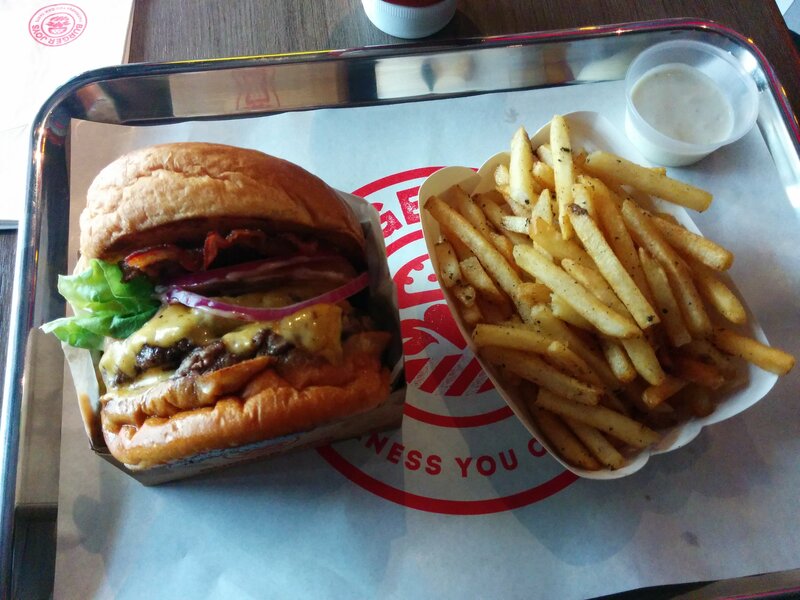 The fries are pretty standard. The cost for the burger experience at the circus comes to 88.00 HKD plus an additional 30.00 HKD for the fries, it all seems a bit steep for the burger one gets. During the finale, as one reflects on the closing act of this decent burger, it’s hard not to think about other burgers one might be missing because the circus is in town. The pioneer impression of the burger’s burger construction, with ingredients that seem slightly under ratio, will first leave one as nervous as woodshed waiter; the top half of the hamburger, particularly the bun, enters the roundup like a cowboy, as fat as a town dog, gripping a lesser bucking bull facing all efforts to avoid a tumbling. A cheating stick that follows the width of the hamburger works to quell the uneasiness until its outward slide – with a gentle pull and pray a discovery that the burger construction holds is met with comfort – a feeling that rides ’til the end. 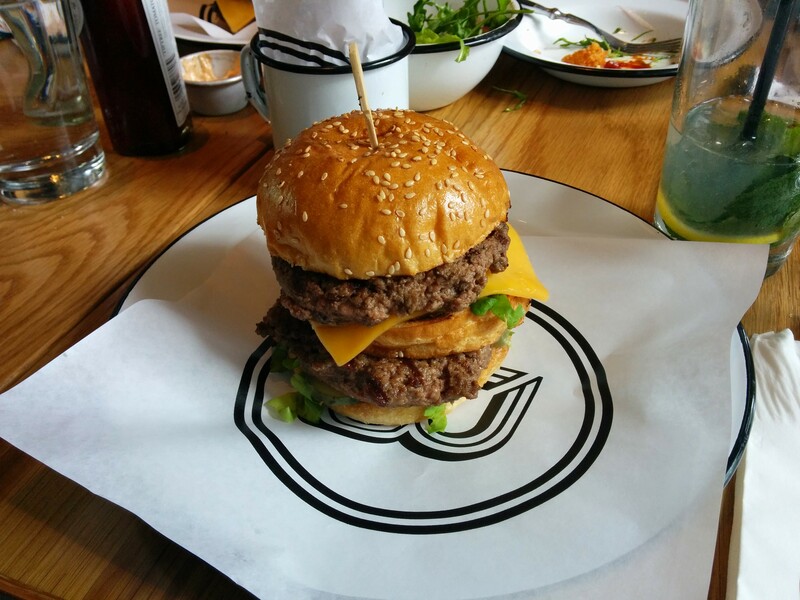 The burger’s burger taste balance counts a contrasting story, a brawny first sway entices one to reverie that the burger may be right as rain, but a progression of the chow reveals slim faults of overcookedness that slight the hamburger. The sole slice of bacon makes a hardy impression with a nice salty savor that looks out for the burger but cracks with a dry crispiness. The fairly sized patty has an honest beef flavor that has been snarled with a tinge of seasoning as to not spoil the burger taste balance; on the other hand, the crumbled texture of the patty, drier than a popcorn fart, does at times feel slightly bare and lumpy. The bun has a soft texture that snugly saddles the burger even if it feels too big; the onion rings gives the burger a modest crunch with a tasty mushy sweetness while the lettuce feels respectable; and the cheddar cheese is thinly present. The signature smoked jalpeno BBQ sauce is one of the better acts, with a tangy piquant taste, it feels fine as cream gravy. The fries are good. 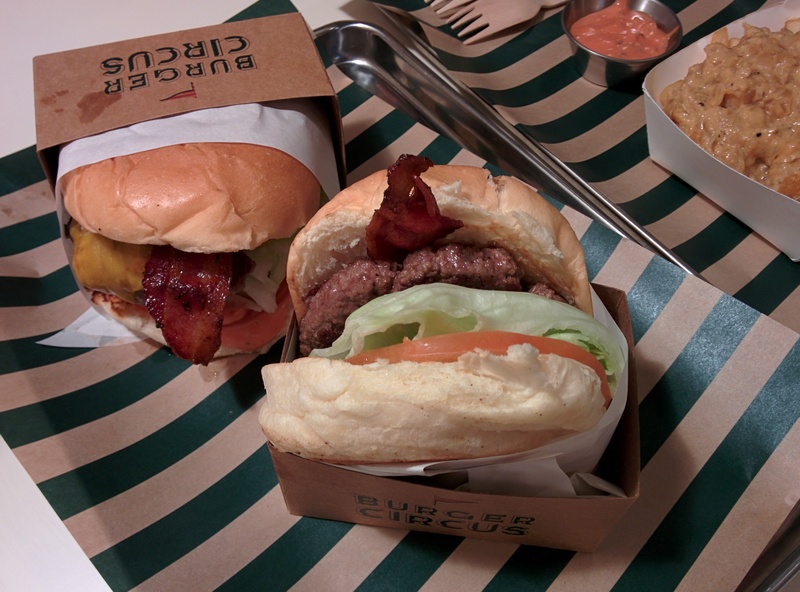 For 88.00 HKD, if one finds themselves venturing into the east of Hong Kong Island and is in need of a burgerhole, this might be the roadhouse to try – one’ll get some grub with a good serving, and be as happy as a hog in mud before pilgriming on.